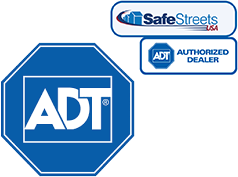 Nothing beats having a home security system when it comes to keeping your property secure. Home automation is also a great option for people who are interested in having complete control of their home, even while they’re gone. But, don’t think just because you have a home security system you can get lazy! Whether you have a system installed or not, there are a few common sense things you can do to increase the security of your home. There are a lot of things burglars don’t want you to know. One of the things they definitely want to keep a secret is the fact that they spend a lot of time observing your property, learning the habits of your family. One way they do this is by peeking in through windows that have been left open to see who’s home and when. By keeping your windows covered with dark shades, especially in the evening when it’s easy to peek inside, potential burglars won’t be able to see what you’re up to. If a potential burglar doesn’t feel confident about your family’s routines, he will be less likely to try and burglarize your home. Plus, dark shades offer a wide range of additional benefits. Having a porch light is a must, but it’s too easy to forget to turn it on and off. These irregularities are a dead giveaway for intruders. All you have to do is leave the light on in the evening and it’s obvious that you’re away from home, expecting to return sometime before the sun comes up. This is an easy fix. All you have to do is install motion-sensor lighting. Because the light only turns on when motion is detected, and turns off again within just a few minutes, it’s impossible for anyone to deduce whether you’re at home or not. Who knew the plants you choose for your yard could make such a huge difference to your home security! The most obvious issue involves overgrown bushes outside doorways and underneath windows, where it’s easy for a burglar to hide. Trim down these bushes or remove them altogether so hiding behind them is impossible. If an intruder is confident that you aren’t at home, he may be willing to crawl over that bush to get to your window anyway. An easy way to deter burglars in this case is to set a trap by placing prickly or thorny bushes underneath or beside easy entry points. One benefit of having a home alarm system is the fact that a loud alarm will sound if any of the sensors are tripped. This loud sound alerts everyone in the home to the intruder, but it is also likely to scare the intruder away. If you don’t have a home alarm system, you still likely have an alarm at your disposal. There’s nothing more annoying than a car alarm for you, your neighbors, or a burglar. Sleep next to your keys at night. That way, if a burglar does find his way into your home, all you have to do is push the panic button on your key fob. Many home alarm systems come with home automation that includes the ability to automatically set when your home’s lights click on and off. Even if you don’t have an alarm, you can easily find devices at your local home improvement store that allow you to automate the lights in your home. This is a great way to fool burglars into thinking you’re home when you aren’t, but only if you’re smart about it. Remember, a potential thief may spend a lot of time observing the habits of your home. If your lights magically click on and off at exactly the same times each day during the week and weekend, it’s just as obvious as if you left your lights off all night long. Instead, change the programming on your timer throughout the week so it really does appear as if someone is home. Whether you choose to purchase a home security system or not, there are plenty of easy and affordable ways to keep your home safe. Implement these easy tips and you’ll enjoy a safer property, and everyone in your home will enjoy greater peace of mind.